What I Want You to Know is a series of reader submissions. It is an attempt to allow people to tell their personal stories, in the hopes of bringing greater compassion to the unique issues each of us face. If you would like to submit a story to this series click here. Today’s guest post is by Robin Massey. I grew up doing gymnastics. I’m not talking about a couple of times a week. I did gymnastics 6-7 hours/day, 6-7 days/week. Before school, after school, on the weekends. When I look back through my memories of growing up, pretty much all are about gymnastics or something to do with it. I still dream about gymnastics (and I’m 34 now). While I took a few classes in the three to five range, it was when I turned seven it became a permanent fixture. At the beginning, I loved it. Learning new skills, competing in meets, going to practice — it was fun 95% of the time. I was decently talented and excelled, moving through the levels quickly. I reached the elite level (highest rank in US gymnastics) when I was 12. I’m not exactly sure when gymnastics went from something I liked to do to something I thought I “should” do, something I had to do because I didn’t know what else I was good at or any other kind of life. In a twisted way, I also began to believe people wouldn’t like me if I wasn’t a successful gymnast (and a good student and nice and “perfect”). It was around my 10th birthday I remember the actual birthday being one of a very few days when I felt happy, excited and energized about going to the gym. I had begun dreading going to practice most days, wondering about the moods of coaches, how I’d do, and what sorts of “numbers” we’d have for routines and then in strength training at the end of practice. 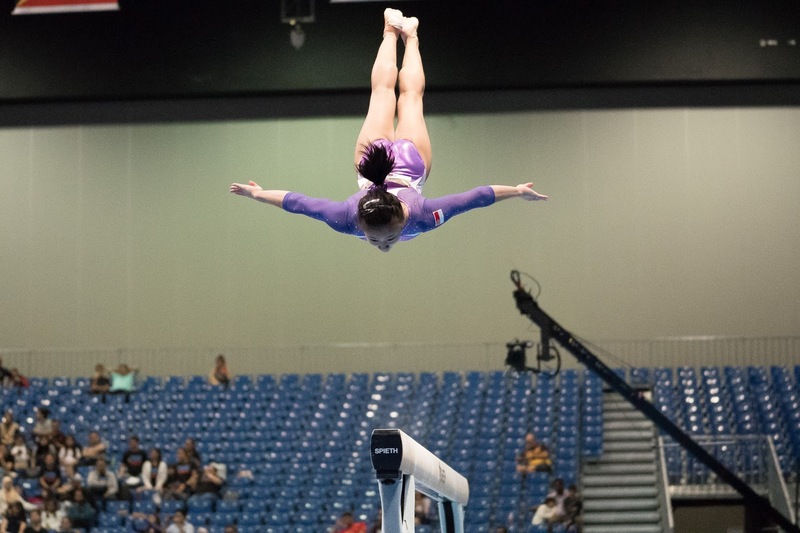 Wondering if I’d be yelled at for falling off the beam, kicked out for not being able to make a correction, left at an event for hours to keep repeating a skill until I “got it right” (knowing I’d barely be able to walk the next day due to soreness). I remember sometimes wanting to quit but feeling like I couldn’t, that I’d be viewed as a failure, not good enough, maybe even unlovable (and not that any of it was true but it felt true to my young self). My days, weeks, and months became dependent on how gymnastics was going, if I’d done well at practice and meets or if not. I judged my worth based on the feedback from coaches and competition judges; what I thought didn’t matter. I began believing any sorting of feeling or expressing of emotion was bad, weak (I remember standing in front of a coach when I was about 16 and being forcefully told “Don’t cry!”). I had one coach tell me not to talk to my parents about practices. I was weighed, had my body fat percentage tested, was told to follow whatever the current diet craze was (non-fat, no sugar, low carb, etc. ), and eat 1200 calories per day. I began to hate my body and how I looked; I never felt good enough and wanted to quit but felt trapped. I ended my career with a respectable US ranking and full scholarship to college — awesome on the outside. On the inside, I was heading into a major depression and two eating disorders. There definitely were moments of delight where it was amazing (catching my first jaeger, making the US national team, traveling internationally). I got to really know what my body was capable of (some mindblowing shi**!) and about the power of working towards a goal. I also met some amazing girls who have grown into lifelong friends. Perhaps most important of all, through hitting some rock bottoms and seeing where I don’t want to be, I now value myself, my health, and what I know to be true in ways I never did before. I am stronger and happier in the now from those challenges, and I am grateful. So what do I want you to know? There are so many things swirling in my head. Let’s see if I can tease out the most important. A first part is for parents of a child on the brink of an all-consuming hobby/sport/practice. Is it good or bad? I don’t know. It depends on the person and situation. There will be good and bad in anything your child does. No gym or coach is perfect. Your child will learn some awesome life skills and some not so helpful things. If your kid is really passionate about something, awesome — stay involved. Know the coaches, training facilities, teammates as best as you can (I’m grateful my parents did). Do your best to not lose sight of the fact that those athletes are still children; they are not automatons. I’ve seen the adults involved forget they are working with actual human beings and get caught up in the potential glory — that typically doesn’t work out so well. I also really want parents and kids to know it’s okay to go with your gut — the coach is not always right and does not always know what is best for each person. You can disagree. And the “best” coach may not be the right one for you. If it doesn’t feel right, good, and healthy, try someone or somewhere else.